Getting your brows looking #flawless is an easy way to face the day beautifully with minimal effort: Unlike using a pencil or gel, you get an effortlessly natural look that anyone—beauty guru or not—can achieve. But if you’re only using your go-to brow-grooming product on your face, you’re seriously missing out. 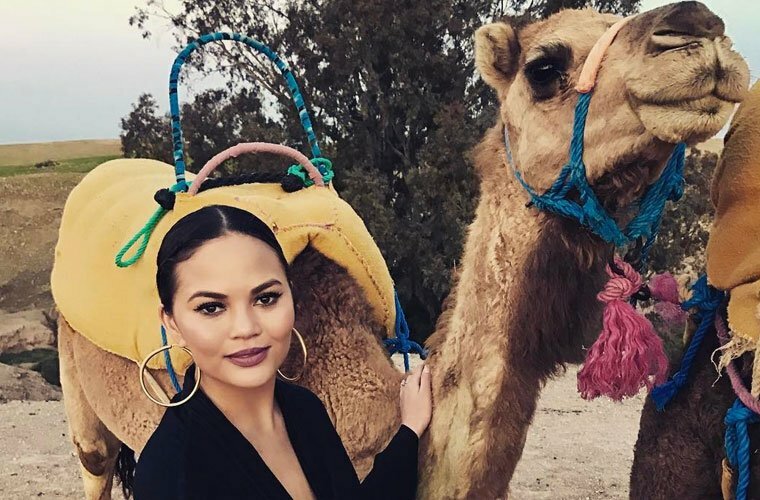 In quite possibly one of the most genius makeup hacks ever, Chrissy Teigen recently let Refinery 29 in on a neglected beauty detail that will elevate your look in a second flat. Instead of just focusing on her brows, lashes, and lips when she does her everyday makeup look, she pays special attention to her filling in her hairline, too. But what does brow powder look like when you apply it to your hairline? Not crazy—promise. Basically, using a powder that’s a shade lighter than your natural hair color not only helps with oiliness, but it also makes your hair look fuller. No brow powder on hand? Pro tip: You can still master Teigen’s hairline hack by using some tinted dry shampoo. Looking ready to take on the world every morning just got a lot easier.